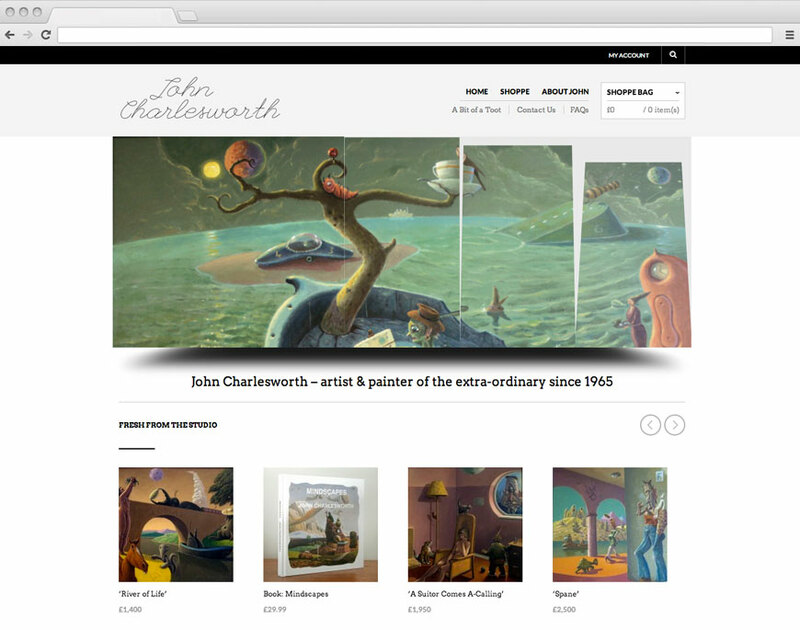 An ecommerce website for long established artist John Charlesworth. 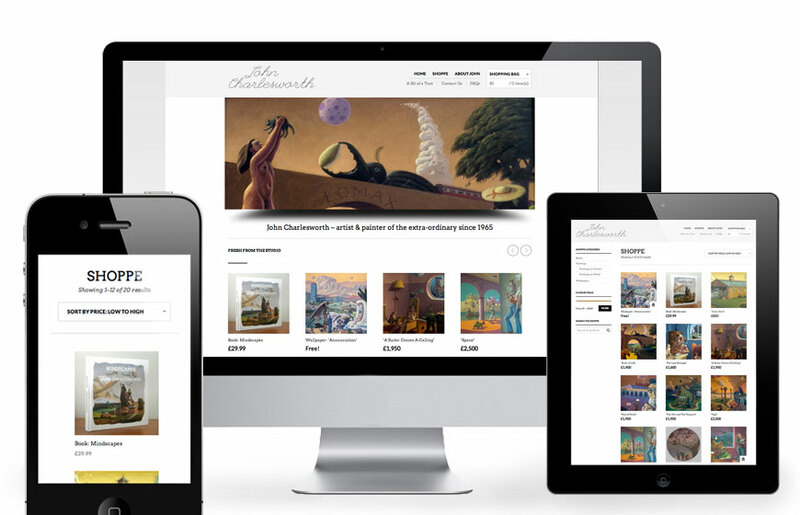 A responsive website was needed which facilitated the sale of his work, without compromising the integrity of his work. A website was created that was as much a gallery of work as a ‘shop’. In keeping with the nature of John’s surreal and often humourous work, the shop element was renamed as the ‘Shoppe’ and the blog ‘A Bit of a Toot’. A responsive ecommerce website built with WordPress and Woo Commerce. Type based logo design in keeping his unique ‘signature’ style. 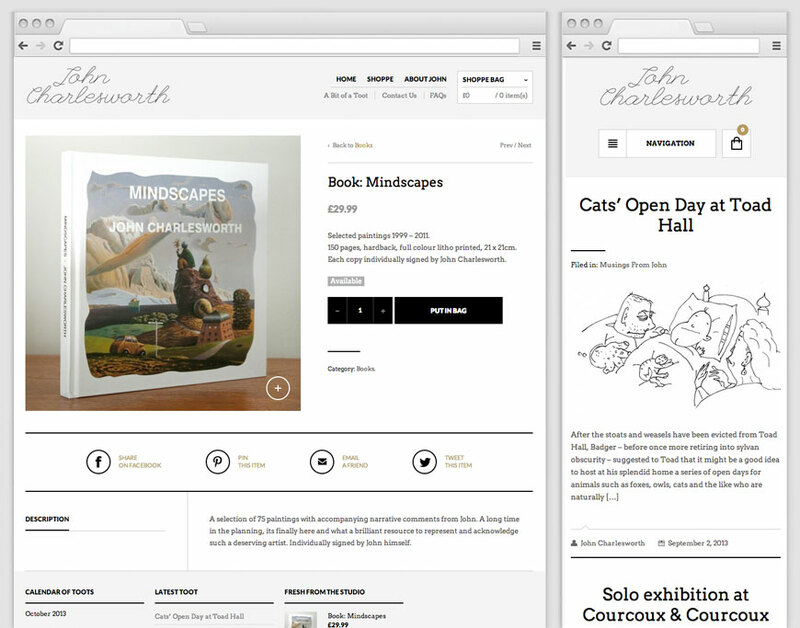 Home page with animated slider of featured work and new shop items presented as ‘Fresh from the studio’. Product detail page and blog page (A Bit of a Toot) resized to mobile width.